You can read more about it through the archives here, and the second event here. 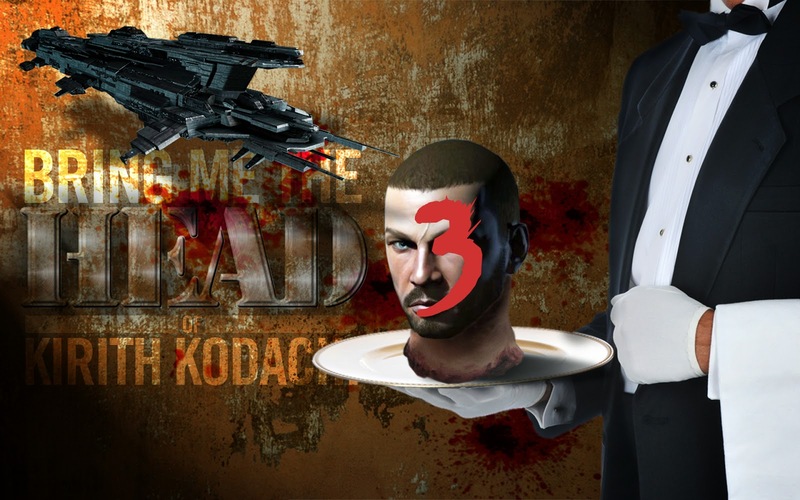 Its been too long since I have had an event so late this June (tentatively June 29th) I plan to have another, Bring Me The Head of Kirith Kodachi III. Original Image Courtest of Rixx Javix of Evoganda. I'll be releasing more details about prizes, location, and how it will work over the next couple weeks! Hope to see you in space! I wonder if anyone will bring a counter fleet to PL.